Cockroach is the best enemy of human specially in kitchen, believing it spread bacteria that cannot be seen by the naked eye.But while many people hate to get close to these insects, scientists at the International Union of Crystallography believe cockroaches have more to offer. They found out that the Pacific Beetle Cockroach feeds its bug babies a formula which is remarkably rich in protein, fat and sugar—everything we humans need! “The protein crystals are milk for the cockroach infant. It is important for its growth and development,” said Leonard Chavas, one of the scientists behind the research. He further explained that this ‘cockroach milk’ have a whopping three times the energy of an equivalent mass of buffalo milk, about four times the equivalent of cow’s milk.It is what one would need: protein, essential amino acids, lipids and sugars. 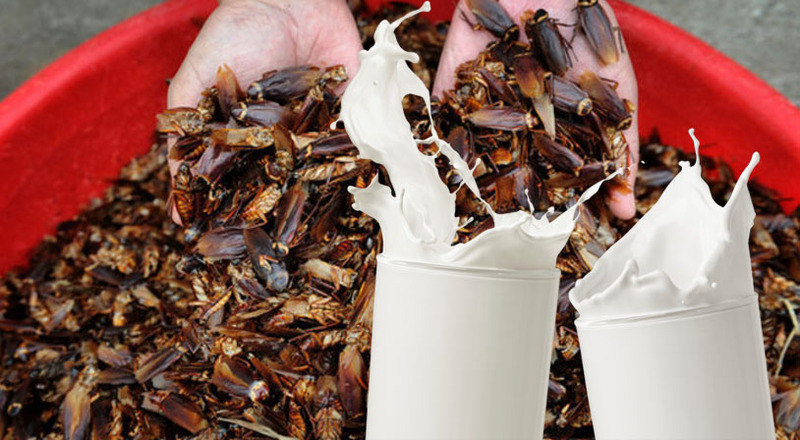 The ‘milk crystals’ are currently extracted from the midgut of cockroach embryos, but they are working on producing bio engineered cockroach milk in the near future.